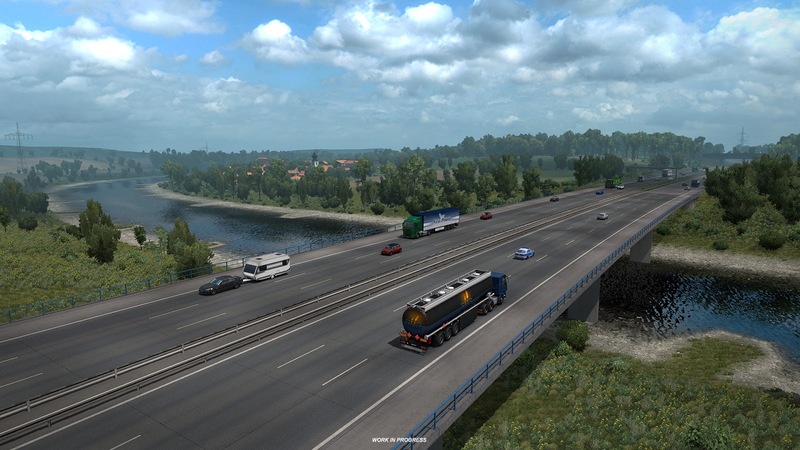 ETS 2 Update 1.32 Open Beta Released! 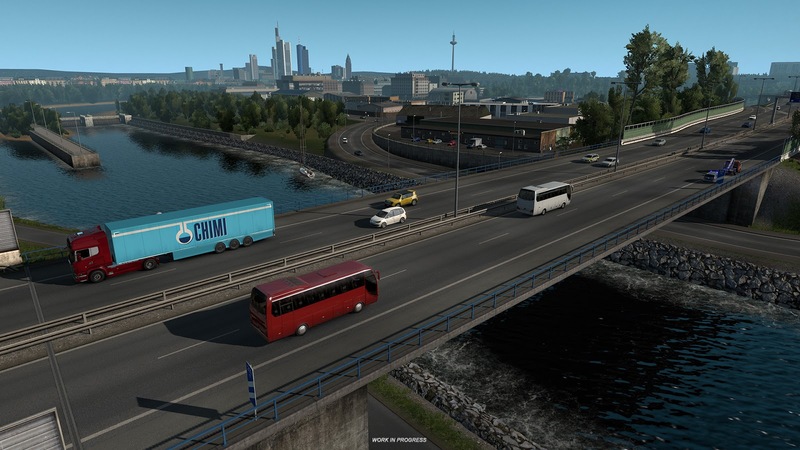 Open Beta of Euro Truck Simulator 2 Update 1.32 is now available as a preview of things to come. 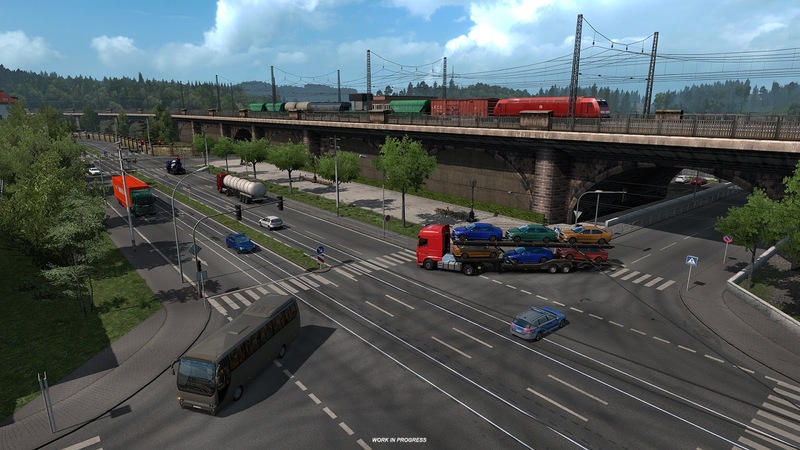 We will launch the open beta for the upcoming ATS update soon, too, once we are done fixing the first wave of reported problems from this beta. IMPORTANT: Due to the scope and scale of the major changes to the game, in order to get as much feedback as possible, we are sharing this open beta with the community earlier than usual in the development cycle. There are still minor known issues that we are working on, and there may be even bigger bugs hidden there that we hope you will help us discover. If you think that the risk and possibly frustration with an unstable and unpolished beta is worth it for you, make sure to back up your player profile to have a safe way to come back to 1.31 in case you get tired of testing. Many mods may have got broken due to extensive data format and logic changes. An early open beta gives the mod authors a chance to start making the necessary changes already, but for testing at this moment, you may need to switch most mods off just to get things working. With the disclaimer out of the way, finally, let's focus on the positives. If you thought 1.31 was big (we did), 1.32 is huge with its truckload of new content! The first major addition is trailer ownership. A dedicated cross-disciplined team worked on this feature for more than a year, and we believe that the result will be a welcome addition to our games. 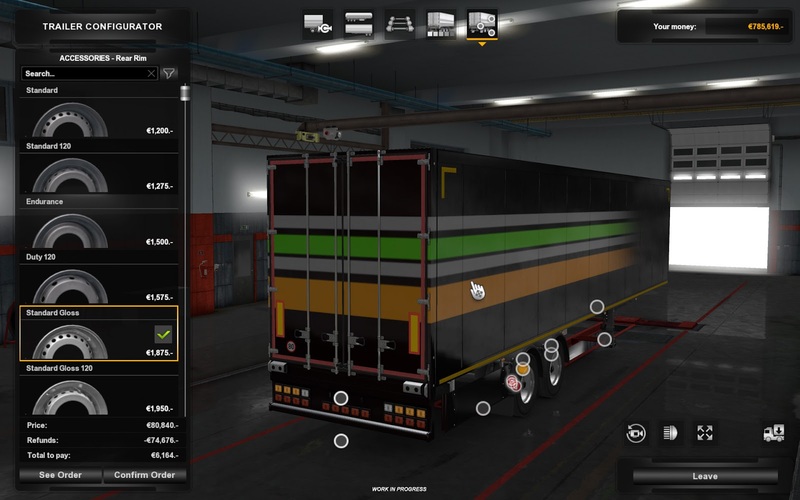 Now trailers can be bought, tuned, painted and used by both you and your company drivers. So don't be surprised if you don't find a trailer in the garage you left it in. One of your employees might have taken it for a ride - that is if you didn't lock the said trailer to limit it only for yourself. While working on this feature, the vehicle team also discarded and recreated several of the old box trailers and adjusted the rest for trailer ownership. 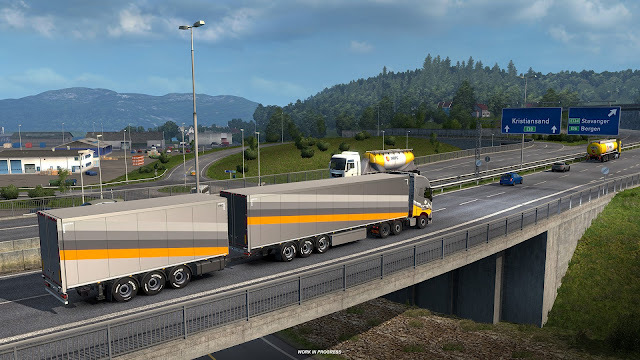 B-double trailers made it to the game - but their usage is limited only for specific regions. This game update is by far not our final word on trailer ownership, there are still several more classes of trailers that we need to revisit and adjust. It will take us several months of hard work to complete, but we did not want to let you wait for a game update this long. With trailer ownership and the need to add more "icons" to access new functionality through the game's central "desktop" main menu, we decided to reorganize this central game user interface screen. You will no doubt notice that there are now two larger widgets on the right side of the screen instead of three smaller ones. UI changes and additions did not stop there. We have created new screens for trailer management and several existing company management screens had to be changed to handle the new feature. While we were at it, we have reviewed how our user interface code works with color gradients in sRGB color space and decided to recalibrate it, improving font clarity and color perception. 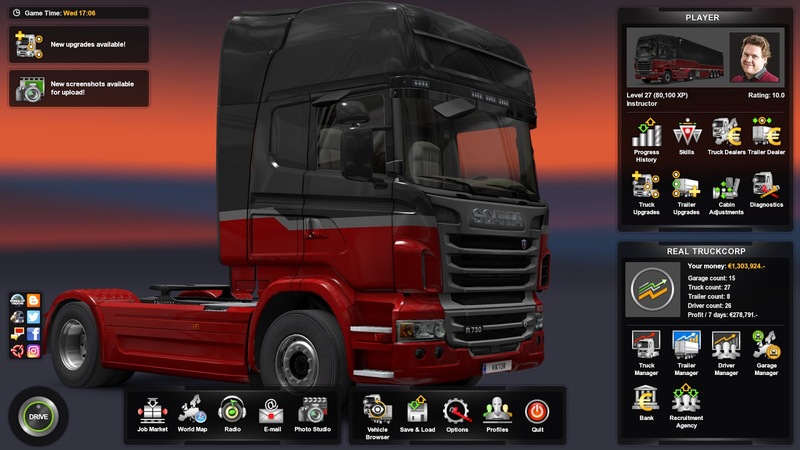 We hope that these changes and the number of trailer tuning options will please everyone. 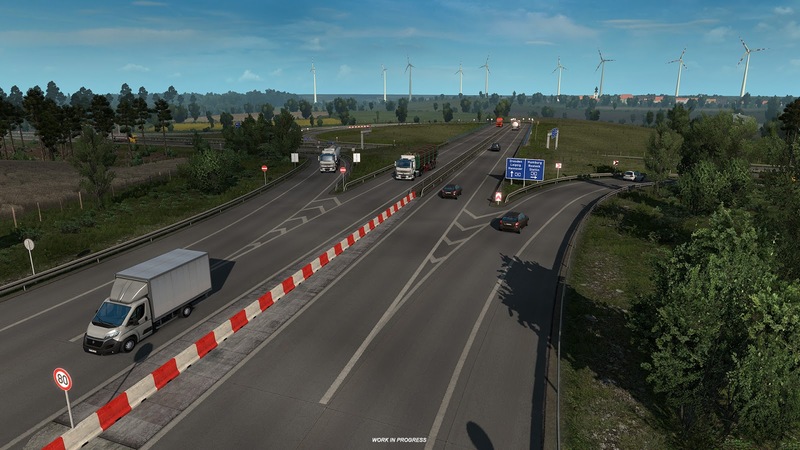 The second big news is the start of the rebuilding effort of the old parts of ETS2 game world. It will take us considerable time to overhaul all the areas in need, but the first step has been taken. The road network in northern part of Germany has been torn out and replaced, and all German cities received a facelift. In fact, four German cities have been razed and built again from scratch. Let's review the catalogue of other additions and changes. 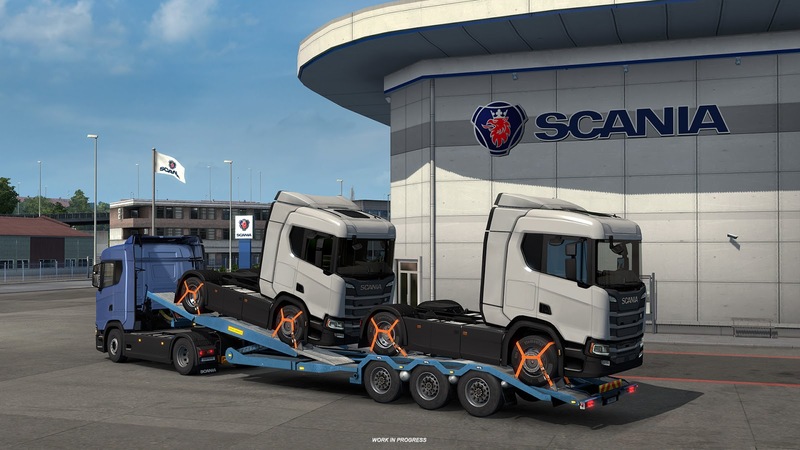 The new ETS2 update finally brings Scania 2016 to AI traffic, you will also be transporting them shiny new to truck dealers from the factory in Södertälje. The trucks in AI traffic now feature trailer cables, with the option to turn them off for performance reasons. 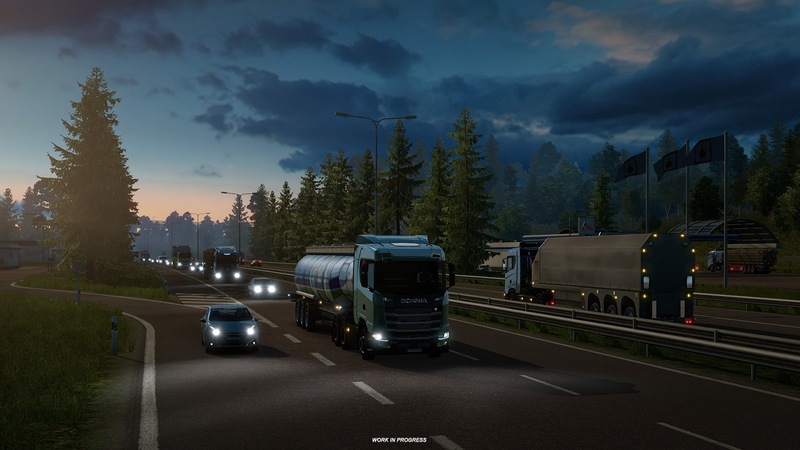 Euro Truck Simulator 2 lighting has been readjusted and brought in sync with day/night cycle system in American Truck Simulator. New skyboxes are coming and yet more are planned, to increase the variety of environment and weather. The programmers have made several changes to code and data related to rendering speed, and we see nice framerate improvements in some scenarios. But your experience may vary, and we are interested in your feedback on any noticeable fps improvement or change. We continue to reflect some of the changes and events in the real world, and the speed limit in France was dropped to 80 KPH on some roads. And lastly, one of the small wishlist items – automatic parking brake is now disabled by default; so those who like this function need to turn it back on in-game options. So enjoy all the new additions, but please remember: It's only an open beta, not a stable public version - so you may encounter bugs, instability, and kinks. This time more than ever, due to the sheer size of the update. It's completely okay if you want to wait for the final release. But if you're interested in helping us to move there faster, we'll appreciate all of your feedback on our forum and your bug reports in this section. If you wish to participate in the open beta, you can find this version in the public_beta branch on Steam. The way to access it is as follows: Steam client → LIBRARY → right click on Euro Truck Simulator 2 → Properties → Betas tab → public_beta → 1.32 public beta. No password required. 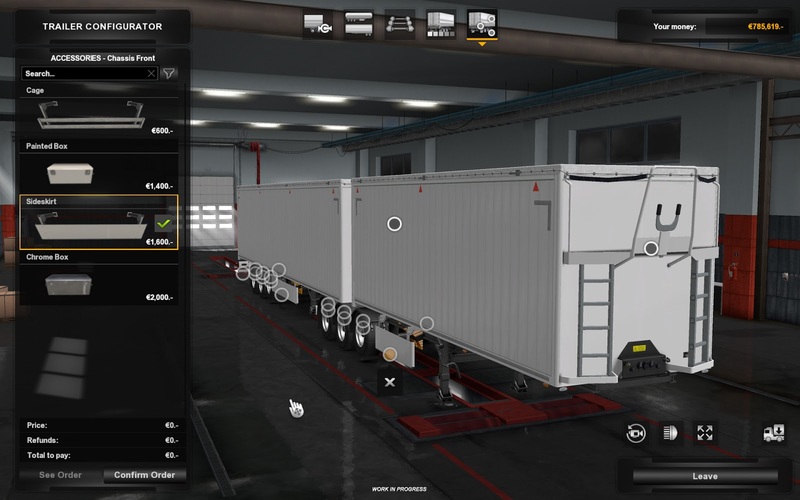 Completely redesigned trailer-cargo logic (cargo data, trailer data, economy, etc.). Most mods will need some work to catch up!